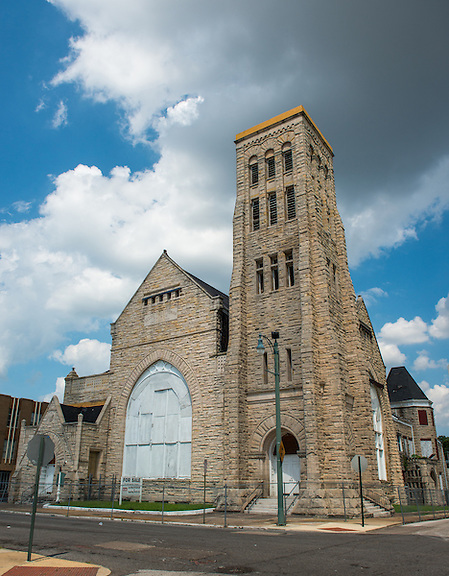 The Clayborn Temple was built 1891 as the Second Presbyterian Church. 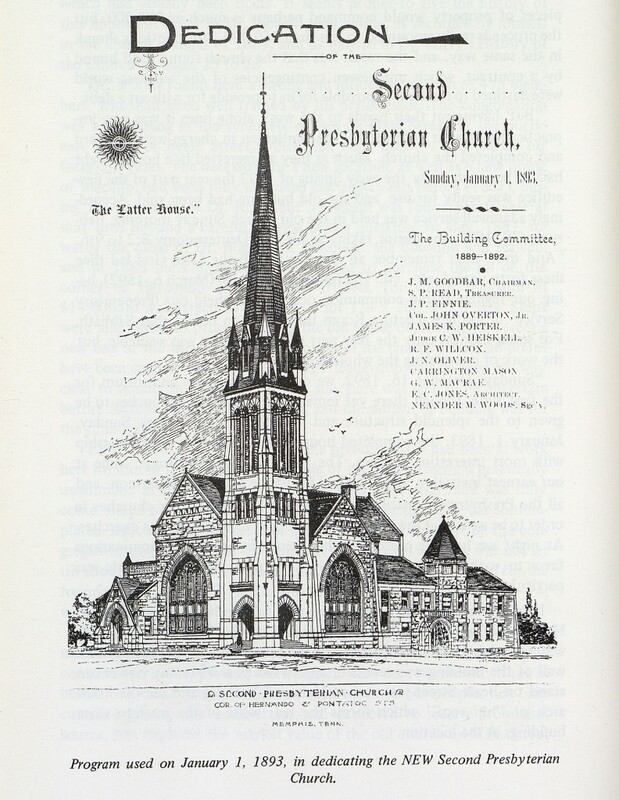 The first service was held on Sunday October 16th, 1892. The pastor at the time, Dr. Woods, described the church as a “splendid edifice”. An accurate description, given that at the time of its completion, it was the largest church building in America south of the Ohio River. It was built at a cost of $100,000.00 (which included stained glass windows and contents). The land price was $14,000.00 in 1887. 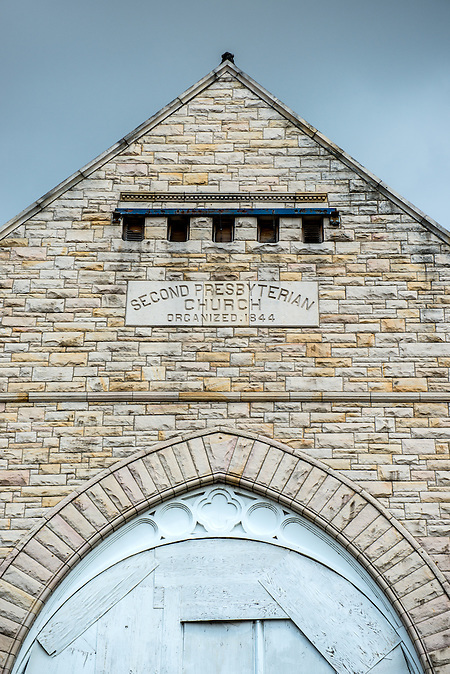 The African American Episcopal Church purchased the property from Second Presbyterian Church in 1949 for $90,000. It was then renamed after the AME Bishop of the region Bishop JM Clayborn. 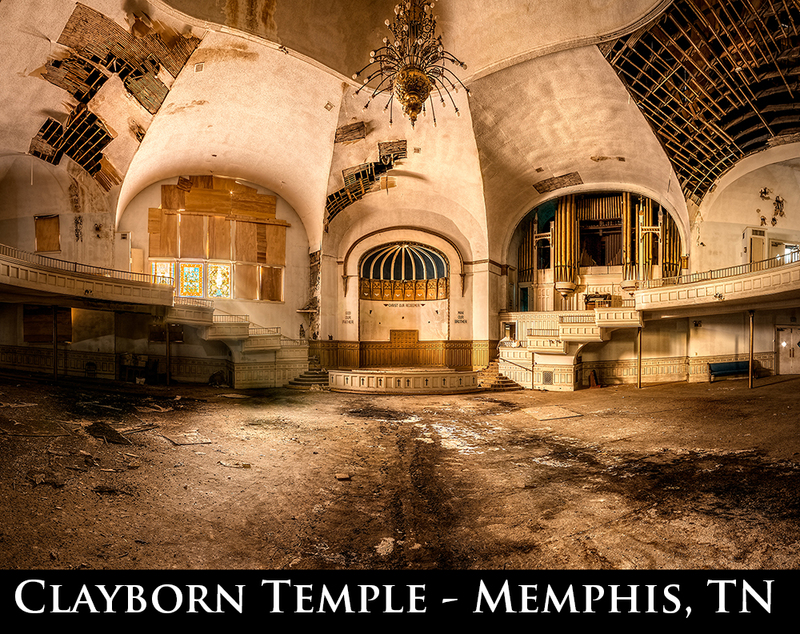 Clayborn Temple was once the hub of the civil rights movements for Memphis in the 60’s. 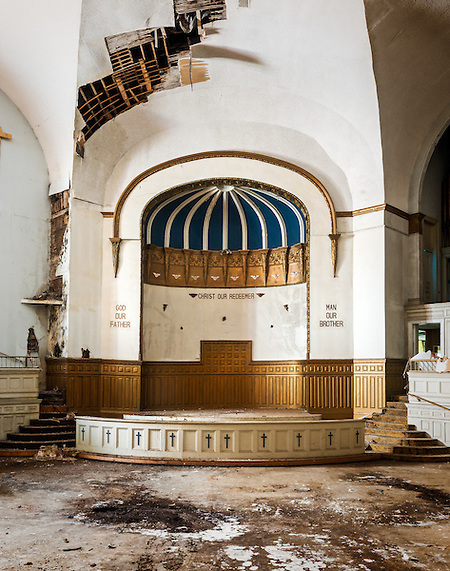 The Downtown church served as the strategy center and refuge for striking sanitation workers and their supporters. The Memphis Sanitation Workers’ strike began on February 11,1968, following years of dangerous working conditions, discrimination, and the work-related deaths of two African American sanitation workers. Led by local clergy, community members engaged in boycotts, mass meetings, marches, and other civil disobedience in support of the strike. The strike ended April 12, 1968. During the time of the marches, the minister at Clayborn was Rev. Benjamin Booker. Booker was active in both planning as well as executing the marches which strived to end the evils of segregation in Memphis. So dedicated to the cause, he was arrested while participating in an act of nonviolent civil disobedience. 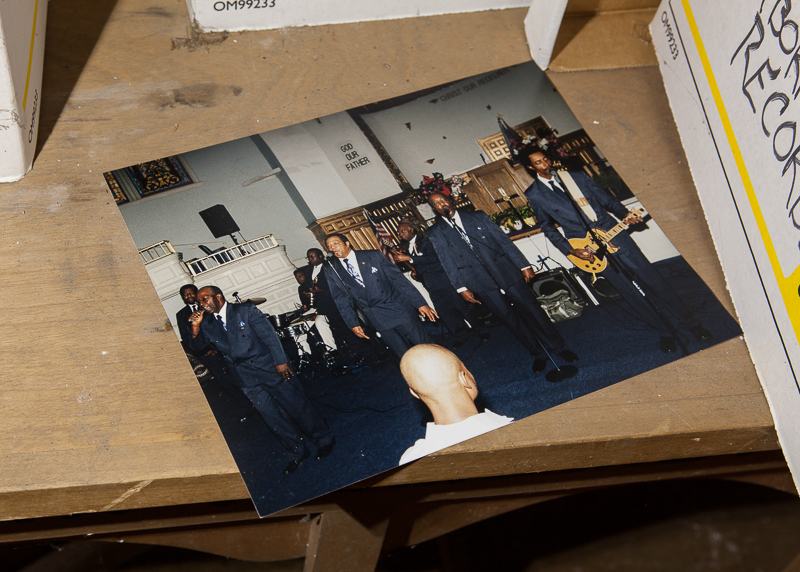 Martin Luther King Jr. used it as a home base while planning marches. 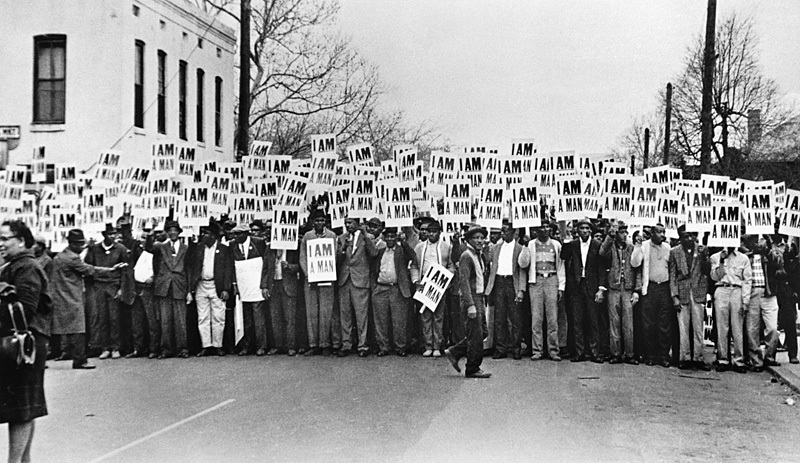 The famous posters used in the civil rights movement “I AM A MAN” were made in the church’s print shop. One of the marches led by King that originated from Clayborn, turned unexpectedly violent as some local youths who were not a part of the cause, but had joined in the march anyway, began to smash in windows on Beale St. Local police drove the march back to Clayborn using teargas, rubber bullets and batons, killing one 16 year old boy. 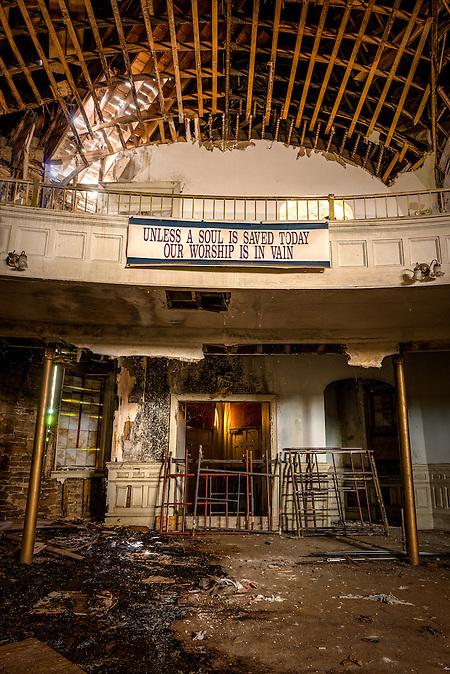 The church itself suffered significant damages as protesters sought refuge inside its walls. The strike ended on April 16, 1968, with a settlement that included union recognition and wage increases, although additional strikes had to be threatened to force the City of Memphis to honor its agreements. The period was a turning point for black activism and union activity in Memphis. This was my second time visiting Memphis to document its historic buildings for my “Art of Abandonment” series. Both times I have worked directly with June West at Memphis Heritage, the local preservation group committed to ‘Giving Memphis’s Past a Future’. Not only did she help us with gaining access to these buildings, but she offered us a place to stay at the group’s historic headquarters “Howard Hall” which is a beautiful mansion just east of the city. We are eternally grateful for her assistance and hospitality. It’s great to be able to partner with like-minded folks who also see the need to preserve these forgotten abandoned locations. My brother Will accompanied me on this trip which was a very good thing because right as we pulled up and got out we were confronted by a local homeless man. He was curious about what we were doing there. Will and I looked very out of place. We told him what we were doing and he started to lead me around the back of the Temple saying he would show me where to enter the building since he had slept in there many times. Will stayed with the car which was still running and held all of our gear. Not thinking, I found myself following the talkative, insistent man around back and out of sight of Will and car. Then another man appeared out of nowhere and approached us. Immediately I started fearing this was a trap, and I was about to get robbed. Will sensed the same thing, locked the car off and ran around the corner behind the second approaching man, inadvertently startling him in the process. The second man looked at Will and pointed at the first man near me and said “I’m his right hand man… You must be HIS right hand man,” pointing at me. Somehow, that funny little observation seemed to de-fuse the tension. Will and I started back to the car, thanking them for trying to help, but that we had permission to be here and would take it from there. As we entered the building the guys hung around and offered to watch our car for us if we gave them some cash. Not being sure what their intentions were, and knowing we would be inside the church for several hours, we chose to donate to the cause and slipped the two men some cash for their help. The interior of the church was breathtaking. 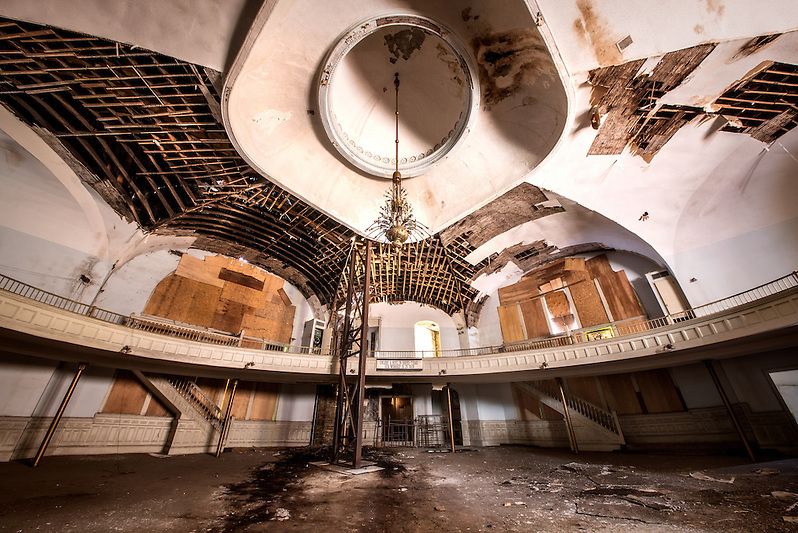 The crumbling arched ceilings, the old pipe organ, and the ornate chandelier and stained glass windows were stunning. We walked through the echoing chapel admiring the ornate details and epic, though crumbling, architecture. 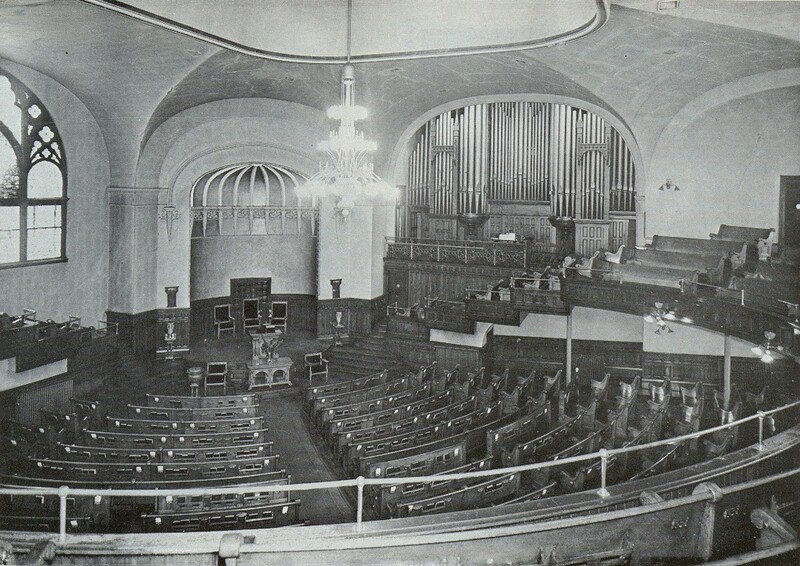 The church was designed so that the choir loft was in line of view of every pew, and any worshipper in the congregation could see every other worshipper. This vast openness of the chapel allowed the congregation to get to know the familiar seats of each family worshipping. When the church originally moved into this building the former pew rental system was abandoned, and instead an envelope system for collecting church funds was implemented going forward. Worship bulletins as late as 1907 announced “The Pews are free to all.” The mammoth pipe organ that dominated one wall of the chapel was purchased by the Presbyterian Church in 1893 from J.W. Steen and Sons of Springfield Massachusetts on January, 6th 1893. 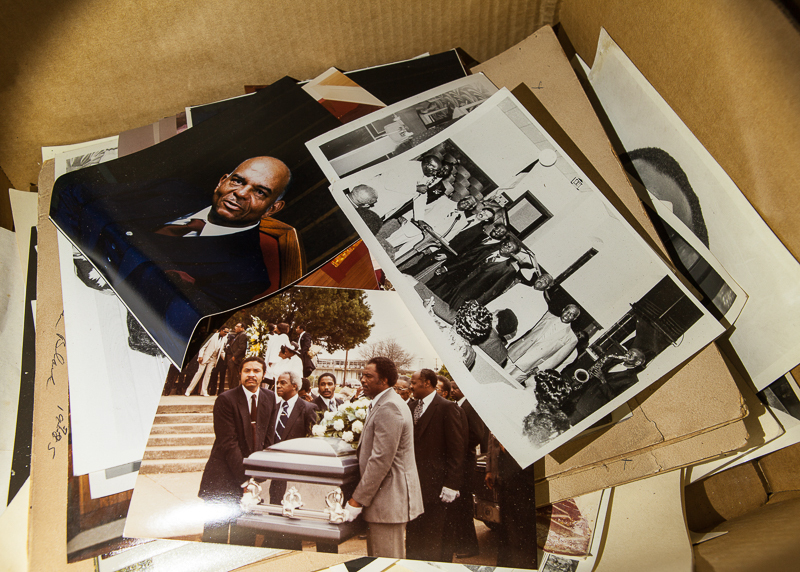 Will found a pile of boxes, spilling over with old photos of the congregation’s events, sermons, choirs and bands. I felt saddened that pieces of history like these old photos were just left to rot. A part of me wanted to take and scan them then return them to the owner, but it was not my place to do that. Instead, I made a mental note to mention the photos to the owner. Shooting in the dimly lit church was painstaking… Not only was it the hottest part of summer in Memphis and we were literally dripping with sweat, but the very low light conditions forced us to shoot shutter speeds at upwards of 20-30 seconds for each shot. 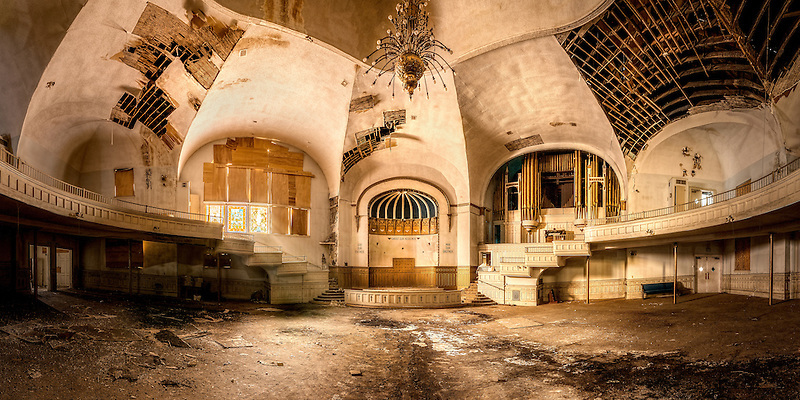 Also with the rotting floors, once I triggered the shutter I could not move an inch without shaking the tripod. There was a lot of breathless waiting between every shot so that the images would be as sharp as possible. When the church was first built, the stained glass windows were “The talk of the town”. 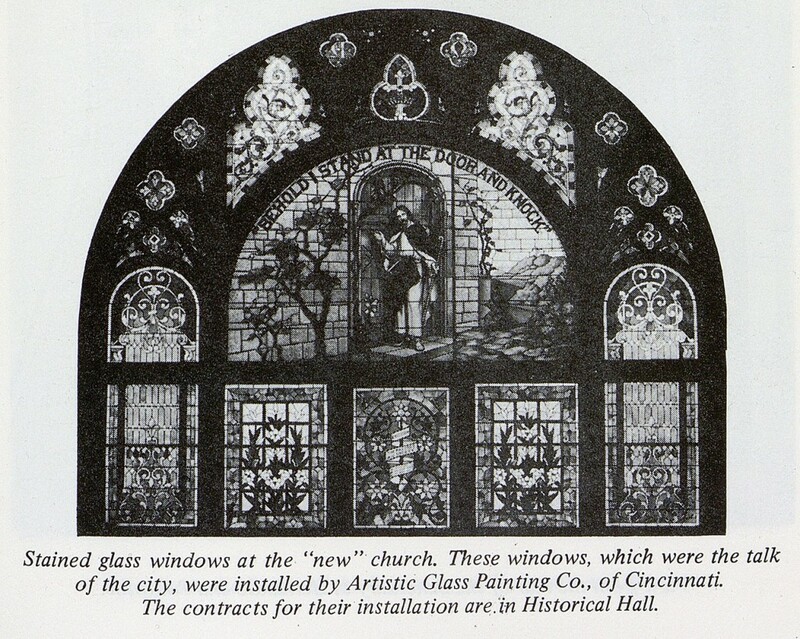 They were installed by the Artistic Glass Painting Company of Cincinnati. What we could not see through the boarded up windows were three stained glass representations of “Christ the Good Shepherd”, “Behold I stand at the Door and Knock”, and a depiction of Christ’s Ascension. Today, nearly all of the stained glass windows had been boarded up save for three, which allowed the majority of light into the church. 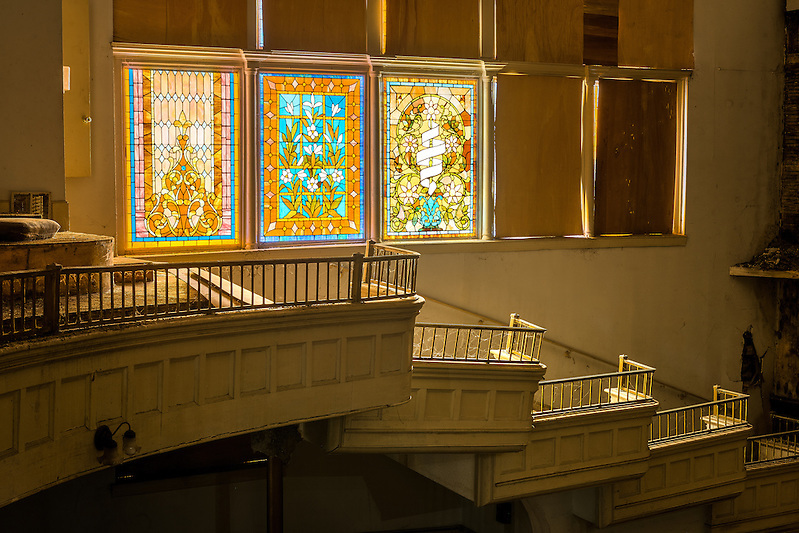 Reverend Booker’s daughter in law (also an AME minister) once said “Everyone knows about the beautiful stained glass, it’s still there, but I remember how beautiful the floors were… We were used to old wood floors, but Clayborn had this pretty and shiny black-and-white tile. 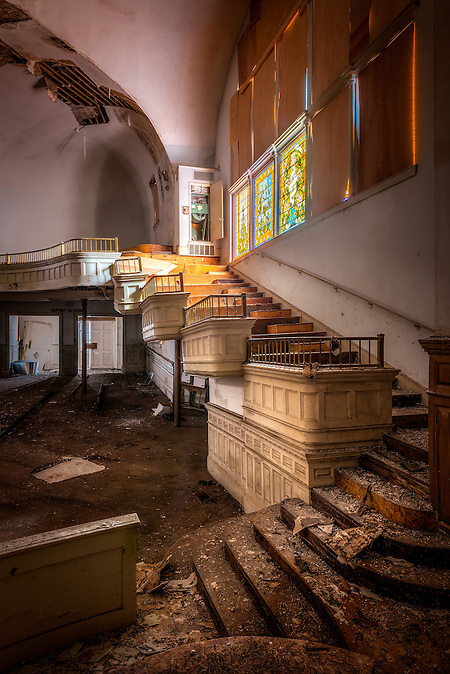 When we were kids, we used to sit under that big chandelier and watch the choir descend down that long, winding staircase singing ‘It is Well with My Soul.” Unfortunately no vestiges of the old tile work remained, only a rotting, water damaged sub floor with holes in several places. We spent the better part of the afternoon shooting there. Other than the chapel itself there was not a lot else to see inside the Church. After thanking the two homeless men for watching our car with some extra cash, we ended the day with an amazing Memphis spaghetti BBQ dinner at the BBQ Shop, which I highly recommend! 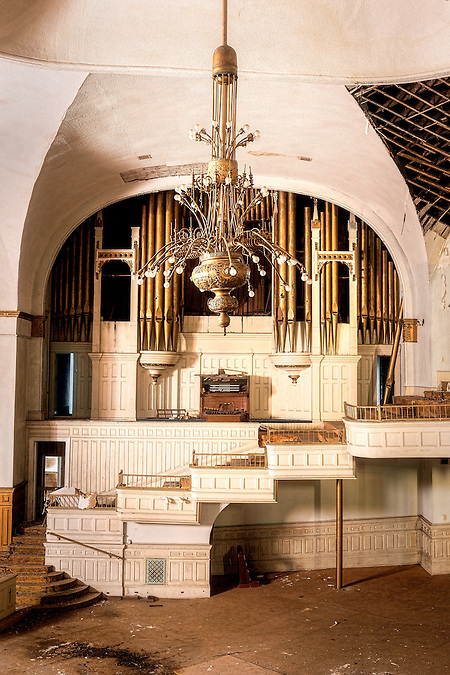 I just learned about Clayborn Temple from an article in The American Organist which mentioned it in a section devoted to chapters of the American Guild of Organists, this one in Memphis. J.W. Steere, of Springfield, MA. I hope the restoration of the Temple includes what must have been a magnificent organ. Member of the Brooklyn and New York City Chapters of the American Guild of Organists and a member of the Organ Historical Society. My name is Jin Powell, an artist in Memphis, TN. If you need help from artist, I will glad to do my best. I am an artist, live in Memphis, TN. If you need any help from artist, please let me know, I willl do my best. 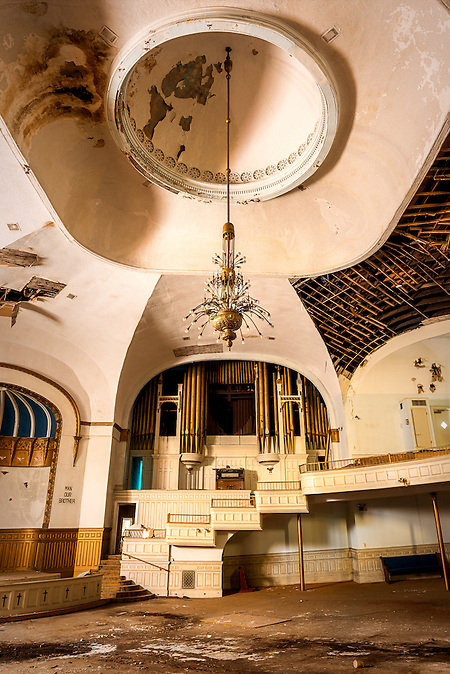 Downtown Church, it was just announced today, has been selected to call Clayborn Temple it’s home, once the current renovation is completed. All this after this racially diverse church has been meeting for years in warehouses and now the train station, Central Station. Happy announcement for the congregation during Easter Sunday service on the lawn of The National Civil Rights Museum at the Lorraine Motel. What an amazing journey into the past. Thank you for your dedication to preserving what you can. 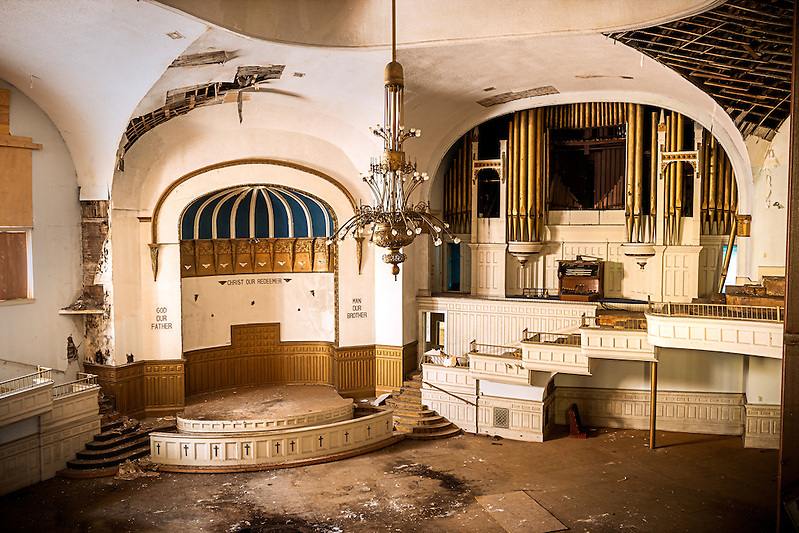 It’s a shame to see any house of worship decay and die. I hope the church is re-built to it’s original beauty.